Growers who sold through online marketplace iGrain last year received an average of $8 per metric tonne above the market price. Launched in 2009, iGrain brings buyers and sellers of a wide range of grain types together on an online marketplace platform. Having sold 240,000 tonnes of grain in 2012, iGrain has already achieved sales of 200,000 tonnes of grain from this harvest. iGrain will now offer automatic seller insurance so growers can trade with greater security and confidence, making it even easier to capitalise on the opportunities offered by the open market. According to Tom Roberts, founder of iGrain, deregulation provides growers with the opportunity to access a wider range of buyers for both ex-farm and warehoused grain. He explains that the automatic seller insurance is being introduced to give growers the security and confidence they need to make the most of these higher prices. The automatic seller insurance, which is backed by global partner Atradius will allow insured sellers to claim up to 90% of their agreed sale price if their buyer defaults or goes insolvent. 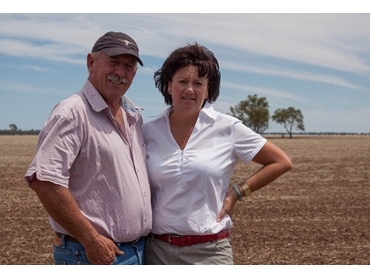 Grain grower Peter Dent, who with his wife Jackie runs a 1,200-hectare property at Gulargambone and a 6,000-hectare share farming operation 50km west at Coonamble observes that innovative grain trading solutions are the need of the hour, given the variable seasons being experienced by many farmers. With conditions swinging between too wet or too dry over the past 10 years, significantly impacting barley and wheat yields, it has become important for farmers to get the best price possible for the harvested grain. Last year, Peter harvested 13,000 tonnes of wheat and barley, a yield that has now become the average given the difficult seasons. Having decided to try out the iGrain platform this season, the couple sold 5,000 tonnes of wheat and barley, on average receiving between $4 and $8 per tonne more than what the big players were offering at the time. Peter is planning to sell another 2,500 tonnes of wheat through iGrain. Prior to selling through iGrain, Peter sold 7,000 tonnes of wheat to a large flour mill and a further 1,000 tonnes to a long-established, major buyer. He also sold 4,000 tonnes of feed grade barley to a local feedlot. The new iGrain insurance cover, which offers security of payment has given him the confidence to take advantage of the wide range of buyers and higher market prices.